Last Chance to Win Theeb on DVD! 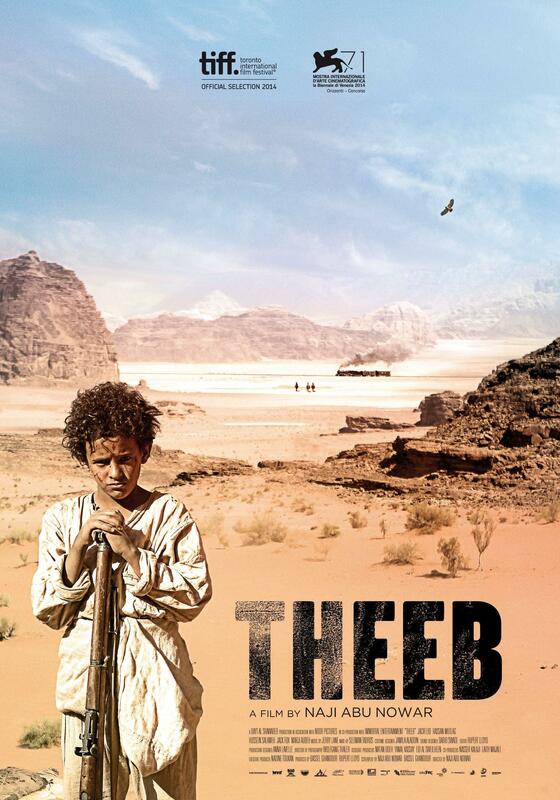 We loved Theeb when we reviewed it earlier this year. It weaves a tale of a young Bedouin boy who lives in the Ottoman province of Hijaz during the First World War who’s sheltered life is shattered when he accompanies his brother and a British officer across the desert on a perilous and secret journey. It’s intelligent, emotional compelling and is ‘a complex and thrilling spectacle’¹ which we urged you all to go and see. Well now is your chance to see it if you missed it in cinemas. Theeb is the latest film New Wave Films are releaseing on DVD and excitingly they have been good enough to grant us two copies to give away. To enter all you have to do is answer the simple question below by Monday 26th of October. Remember the give-away closes on the 26th of October.